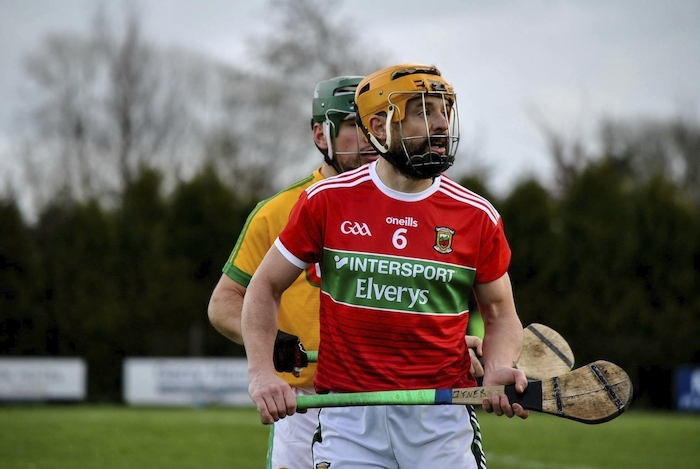 A late Cathal Freeman point from near the half-way line saw Mayo come from six points down ten minutes into the second half, to grab a draw against Meath in their National Hurling League Division 2A opener in Tooreen last Sunday. This year's league represents a big step up in the quality of opposition that Mayo will be facing compared to recent years, having won the Division 2B title last year. While he was happy that Mayo managed to get a point at least from the game last Sunday, Mayo manager Derek Walsh thought they really should have got more. Speaking after the game to the Mayo Advertiser he said: "It's a good start to the league, we are disappointed we did not win the game. We had six wides in the second half and they only had one and we had five in the first half and two others that dropped short - so it is really a game we feel we should have won. But look, we are happy to get the draw and get the campaign up and running. Everyone thought we would be the whipping boys coming into this league and we have proved today we are far from it and are here to battle." Coming from half a dozen points down was something he was particularly happy about, as the squad had a major turnover of players since last year, said Walsh: " There was no fear there, we are missing 13 of the lads from last year's panel. We are a county with four clubs and we have no fear of throwing any of those young fellas in. We have two new lads from Westport this year, new lads from Castlebar, we don't care, if they come in and train with us and show us they are good enough to be put on the pitch we will have them playing for us. "We are coming up with the established counties now, someone said to me in the build up that Meath have 12 senior clubs, 12 intermediate clubs and 14 teams in their junior championship and we have four clubs - so we have to be realistic too and we have lost 13 lads from last year. "We are really proud of that bunch of young fellas, we have 12 u21s in the 30 strong panel, they have put in a massive effort since the middle of November, which is much better preparation than we had last year - but we needed it, because we are very light, we needed to bulk up a bit and for that team today is a massive result - they now have the belief and knowledge that they can mix it with the rest of them." This weekend sees Mayo follow up that draw with Meath with a trip across to London for Sunday lunchtime, to take on the exiles in McGovern Park. London went down to Westmeath in their opener in Mullingar last Sunday with the Lakelanders running out 2-17 to 0-15 winners. Walsh is looking forward to the trip and knows that his side will have to keep up their work rate if they are to come home from London with the points. "We've not been there as a team before and we are looking forward to that now. I said it to the lads at half time, they were just lacking a small bit of belief in themselves and not the hurling - to show themselves we are good enough to be up in this division and look, I think the second half proved we are. Our work rate will hopefully get us through games and we showed that in the second half here today." Page generated in 0.0721 seconds.